This border was quiet, modern and organised - all exit formalities completed in 10 minutes, no payments and didn’t check/inspect the car or it's contents. We then crossed the Thai-Laos Friendship Bridge over the River Mekong- 50 Baht toll fee so keep at least this in Thai money! Parked, went to immigration counter and filled out a Laos visa application form, plus an arrival/departure card. Passport stamped with entry stamp. At the first customs kiosk we paid 200 Baht vehicle entry fee for road use. 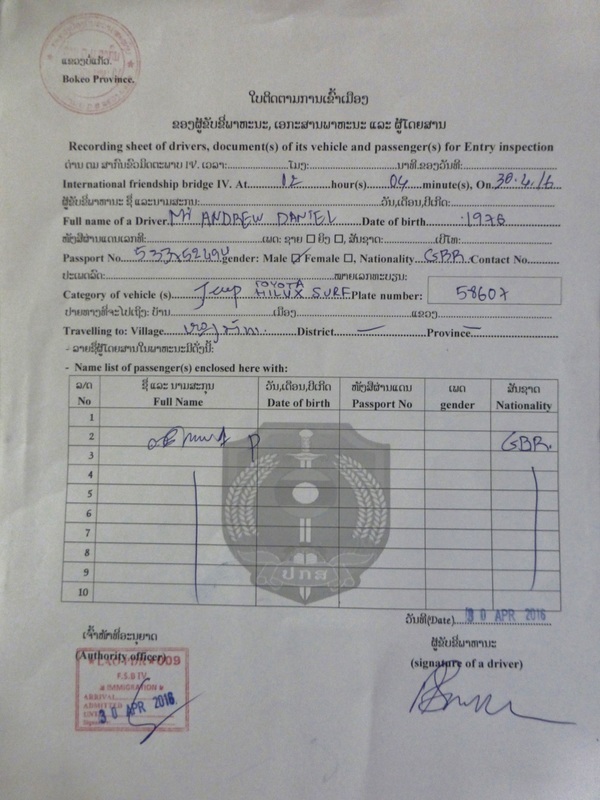 We had to fill in a 'Vehicle Entry Form' (photograph below), this wasn't collected when we left the country! Second customs kiosk filled out Carnet, straightforward and no hesitation or problems. 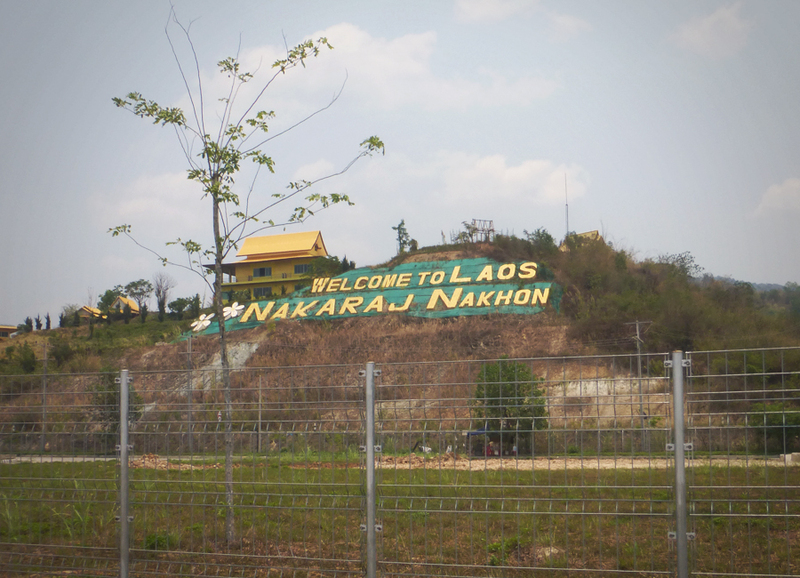 Drove out of customs area and entered Laos, didn’t look at car or check contents. 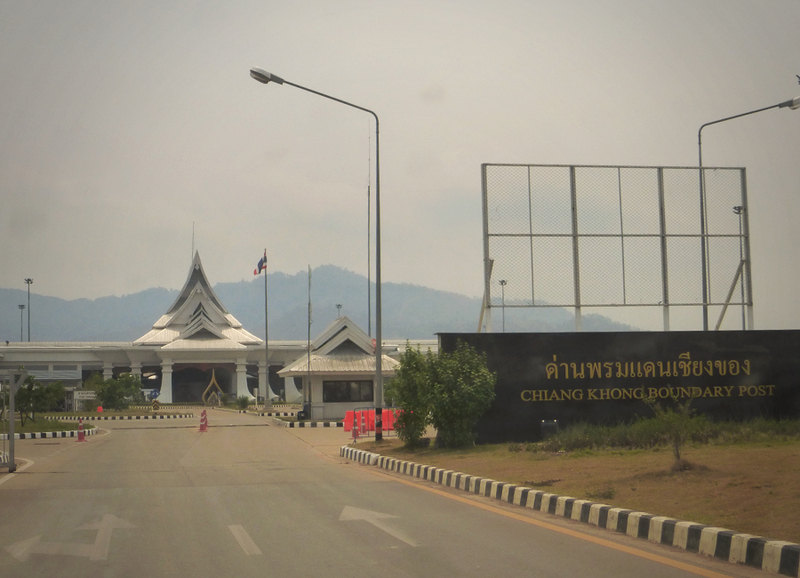 ​This border crossing was straightforward and friendly, very quiet and efficient- entire crossing took less than an hour.